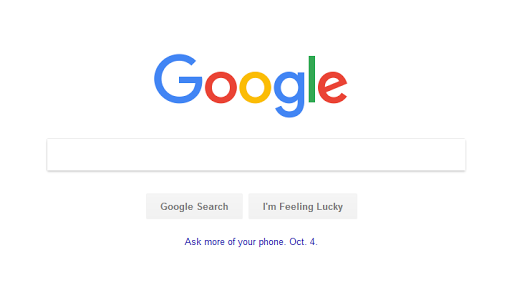 The video imagines different people asking Google why their current phone does x, y, and z badly, all set to a neat music track, with the end line stating "Funny you should ask...Oct. 4" before linking to a new web page. There, you're posed the question "Thinking of changing phones?" before the message "Stay tuned for more on 4 October." It's pretty clear that the new Pixel phone event will be taking place then, and you can sign your email up for more information on the site if you wish. Google is also linking to this site from the search engine homepage (see below). 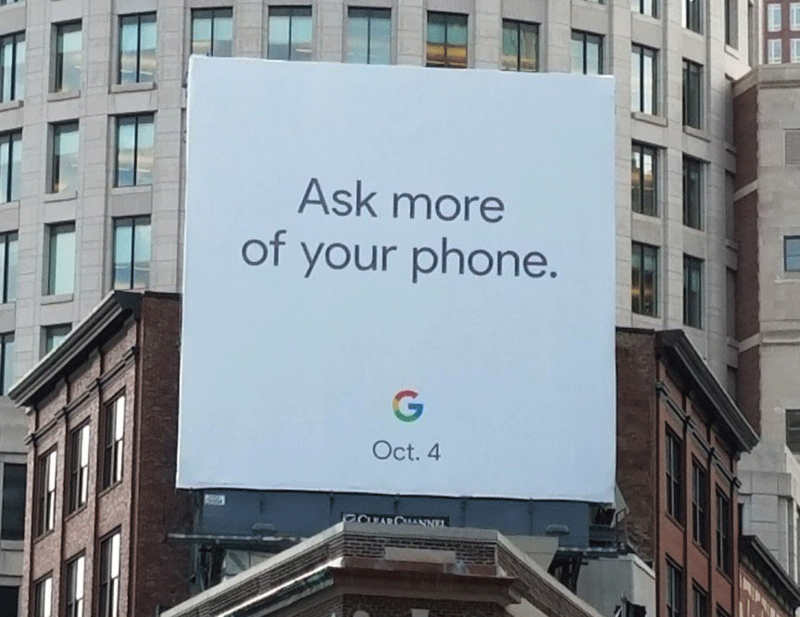 The image of the billboard came a little before, sent to Droid Life, and it shows an advert that simply reads "Ask more of your phone." I'd be willing to wager a fair amount that it relates to the Google Assistant on the new phones; probably something to do with the 'Active Edge' squeezable sides (HTC U11-style) that will likely summon the Assistant on both new Pixels. After a bit of digging, I've worked out that the billboard is situated above Mooncusser's fish house in Boston, just in case you want to check it out for yourself. So now we know. Be sure to mark October 4th in your Google Calendars; it's going to be a big day for us Android/Google fanboys.